Bluetooth is a great way to wirelessly transfer files like photos to and from your various mobile devices without the need for an app and without incurring any data charges. What is Bluetooth file transfer? Why is Bluetooth file transfer useful? How to transfer files via Bluetooth? For now, though, here's how you can move your files from one device to another using Bluetooth. There are two steps involved in setting up a Bluetooth file transfer between smartphones/tablets: enable Bluetooth (and visibility), and send the desired file(s). If a desktop/laptop is involved, you’ll first have to set up (pair) the mobile device to the computer before attempting to transfer files over Bluetooth. Most Android smartphones/tablets and desktop/laptop systems should follow a relatively similar process. The directions below should generally apply to iPhone and Android, regardless who made your mobile phone: Apple, Samsung, Google, Huawei, Xiaomi, etc. The specific steps to turn Bluetooth on your phone or other devices vary, but here are the general steps, with some examples. Launch Settings on your mobile phone (the icon resembles a gear). On Android phones, you can also access Settings by opening the slide-/drop-down notification panel from the top of your device’s screen. Scroll the list of various system settings (look for Connected Devices on stock Android or Connections on Samsung) and tap Bluetooth. Many devices offer quick access to Bluetooth by opening the quick settings panel from the top of the screen. Bluetooth has its own section in iOS Settings, and you can toggle it on or off in Control Center. Tap the button/switch to turn on Bluetooth. You should now see a list of Paired Devices (e.g. any Bluetooth audio devices you’ve paired with before) as well as a list of Available Devices. Tap the check box to make the receiving device visible/discoverable to other devices (it should be labeled as such). You may see a timer counting down the duration of visibility – once it reaches zero, Bluetooth visibility turns off, but then you can just tap the check box to enable it again. If there is no such box, then your device should be visible/discoverable while Bluetooth Settings are open. If you plan to send files to/from a smartphone/tablet and desktop/laptop, make sure the mobile device is connected/paired to the computer (this action is performed on the computer end). Scroll through the apps and find a File Manager. This also could be called Explorer, Files, File Explorer, My Files, or something similar. If you don’t have one, you can always download one from the Google Play store. If you're running Android Marshmallow or later, you should be able to find the included file manager by searching your Settings app. While iOS has a Files app, it doesn't generally allow straight Bluetooth transfers. Instead, it uses AirDrop for non-internet file transfers, which uses Bluetooth and Wi-Fi. Choose Select from the menu icon. You should then see empty check boxes appear to the left of the files as well as a single empty check box at the top (usually labeled "Select all" or "0 selected"). Otherwise, tap and hold one of the file(s) to make the aforementioned empty check boxes appear. Tap empty check boxes to select the individual file(s) you want to send. Selected items will have their check boxes filled. You can tap the check box at the top to Select All (repeat taps toggles selecting all/none). You should also see a number at the top, which reflects the total amount of selected files. Locate and tap the Share Icon (the symbol should look like three dots connected together by two lines, almost making a full triangle). This symbol may appear at the top next to the Menu Icon or within the drop-down list of actions. Once you tap it, you should then see a sharing list pop up. Scroll/swipe through the sharing list (it may not be in alphabetical order) and tap the option/icon for Bluetooth. You should now be presented with a list of available Bluetooth devices to send to. Tap on the Bluetooth device you want to transfer the file(s) to. You should see a message of "Sending # Files to [device]" flash briefly across the screen. After several seconds, the receiving device should see a file transfer notification/window appear (often details file name, file size, and the sending device) either on the screen or in the notification bar. This window may disappear (nothing will be transferred) if no action is taken within 15 or so seconds. If this happens, just send the file(s) again. Tap Accept on the receiving device to download the file(s). If the receiving device is a computer, you may have the option to browse and save to a different folder location (the default is usually called "Download/Received Files" or something similar). There should also be a Decline/Cancel/Reject action in case you want to refuse the transfer. Files are downloaded one at a time (you may see a progress bar on the transfer window or in the notification panel at the top of your device’s screen). Once the file transfer has been completed, both device screens may flash a confirmation message and/or notification of files received (sometimes showing the total number successful/unsuccessful). While macOS suports Bluetooth, File transfers with that system are mainly managed by AirDrop. Windows PCs, however, tend to have the ability to send files to your mobile device (and vice versa). Navigate the device’s file/storage system until you find the desired file you want to send. Expect to be able to send only one at a time. Right-click on the file to open the (long) list of actions. Click (or hover over) Send To and select Bluetooth from the small list that appears. You should then see a program window pop up for sending a file to a Bluetooth device. Click Next as you follow the steps (e.g. renaming the file, choosing the Bluetooth device, and sending). Tap the Accept action on the receiving device to download the file. If the receiving device is a computer, you may have the option to browse and save to a different folder location (the default is usually called "Download/Received Files" or something similar). There should also be a Decline/Cancel/Reject action in case you want to refuse the transfer. You should see a progress bar tracking the status (and speed) of the transfer in the program window of the sending device. Click Finish once the file transfer has been completed. The receiving device screen may flash a confirmation message and/or notification of files received (sometimes showing the total number successful/unsuccessful). Bluetooth file transfer is a simple way to send files to another nearby Bluetooth device without the need for a separate app. If you know how to pair a Bluetooth headset to a smartphone, then you are equally capable of transferring files over Bluetooth. The great thing about Bluetooth is the way it’s universally available/compatible with smartphones, tablets, laptops, and desktop computers. You can easily transfer files over Bluetooth between: Android OS, Fire OS, Blackberry OS, Windows OS, Mac OS, and Linux OS. You’ll notice that iOS and Chrome OS aren’t included; Apple mandates the former to require a separate app (i.e. you’ll need to use something like Move to iOS or Apple AirDrop to transfer files and photos from the iPhone to Android) for wireless file transfer, while the latter doesn’t currently support file transfer over Bluetooth. Basically, devices that are compatible with Bluetooth file transfer should have a system preference/setting that supports and/or is named "Bluetooth Share" (or similar). Why Use Bluetooth File Transfer? There are a lot of ways to transfer files from smartphone to smartphone, Android to Android, or from one OS platform to another. While Bluetooth may not be the fastest method, it has the least amount of requirements needed – no app, no cable/hardware, no Wi-Fi network, no 3G/4G data connection – which makes it quite convenient in a pinch. Let’s say you bump into an old friend while out and want to quickly share a few photos between smartphones. Here’s how Bluetooth beats out the other options. Bluetooth vs. USB Cable: Do you always remember to carry your smartphone’s USB data/charge cable wherever you go? Probably not. And if you do, it’s likely the kind you plug into a standard USB port instead of directly into another mobile device. Bluetooth vs. OTG Cable: So maybe you do carry your data cable at all times, and you have a USB OTG (On-The-Go) cable as well. This can work to transfer files, but only if both devices support USB OTG and have the right connections for the cables. But now you’re now carrying two cables at all times. Bluetooth vs. OTG Flash Drive: There are flash drives that have dual connectors for use with computers and smartphones/tablets. While more convenient than the aforementioned option, OTG and connector compatibility between devices is still required. Bluetooth vs. Personal Hotspot: One could set up and use a personal hotspot (tethering) on iOS or Android. However, not all devices have that option. The ones that do typically require a monthly subscription fee through the phone carrier in order to enable the feature. And then you would need a strong 3G/4G signal, which isn’t always guaranteed (e.g. inside parking structures, office buildings, Costco stores, etc). Bluetooth vs. Portable Media Hub/Hard Drive: Some portable media hubs and hard drives are capable of broadcasting their own local wireless network for devices to connect to. However, a mobile device would need the product’s companion app before being able to connect and upload/download (speed isn’t guaranteed) any files. Plus, you’d have to always remember to bring the drive and keep its battery charged. Bluetooth vs. Wi-Fi Direct: Transferring files over Wi-Fi direct is a very similar process to that of files over Bluetooth. But Wi-Fi direct isn’t as universal as Bluetooth, and not many devices support the feature. And some devices that do support Wi-Fi direct require a special app to use it. Bluetooth vs. Cloud Storage/Email: You can’t really go wrong with saving and sending files via cloud storage and/or email. However, in the moment, each device would need to have a strong enough data/internet connection in order to upload/download files or access email. Bluetooth vs. File Transfer App: If you search the Google Play Store or Apple’s App Store, you can find plenty of apps that transfer files from one device to another. 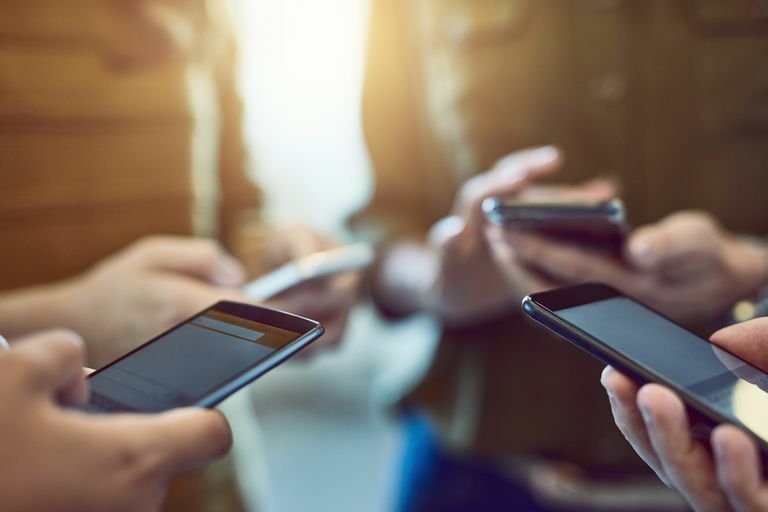 But keep in mind that some only work when both devices have the same app, and some may also need a wireless network or data connection. You can transfer pretty much any type of file over Bluetooth: documents, photos, videos, music, apps, etc. If you can navigate a computer’s/smartphone’s folder system to find a specific file, you can send it. Just keep in mind that the receiving device needs to be able to recognize the file type in order to use/open it (i.e. if you send a PDF document from one device, the other would need software or an app to read/access that PDF). Suppose you wanted to use Bluetooth to send a photo from your smartphone to a friend’s smartphone, and let’s say the file size is 8 MB. If both smartphones have Bluetooth version 3.x/4.x, you might expect that one photo to transfer in about three seconds. What about a single 25 MB music file? You might expect to wait about nine seconds. What about a 1 GB video file? You might expect to wait around seven or so minutes. But keep in mind that those times reflect theoretical/maximum speed. Actual (i.e. real world) data transfer rates are significantly less than the maximum specified. So in practice, that 8 GB photo is more likely to require a full minute of transfer time. When you look at other ways of transferring data, Bluetooth is comparatively slow by the numbers. For example, USB 2.0 (common for smartphones, computers/laptops, and flash drives) is said to have an effective throughput up to 35 MB/s – practically 11 times faster than the Bluetooth 3.x/4.x maximum rate. Wi-Fi speeds can range from 6 MB/s to 18 MB/s (depending on protocol version), which is anywhere between two to six times faster than the Bluetooth 3.x/4.x maximum rate. For the best data transfer speeds, make sure that the smartphones/tablets/computers aren’t connected to and/or using other Bluetooth devices (e.g. wireless speakers and headphones). Otherwise, it can take twice as long. Some devices may limit the number of files you can transfer at a given time, so it may be necessary to transfer files one at a time, rather than in batches. Keep the sending/receiving devices as close to each other as possible with a clear line of sight. This way, you’ll maintain the best signal strength that won’t be interrupted/interfered with by other nearby wireless signals and/or physical obstacles. Be sure to close all other apps/programs until all files have been transferred. Although Bluetooth does the sending/receiving, devices still need processing power to write the data to storage. Open/active apps or programs can slow things down. Troubleshoot your Bluetooth device(s) if you're having problems with pairing.